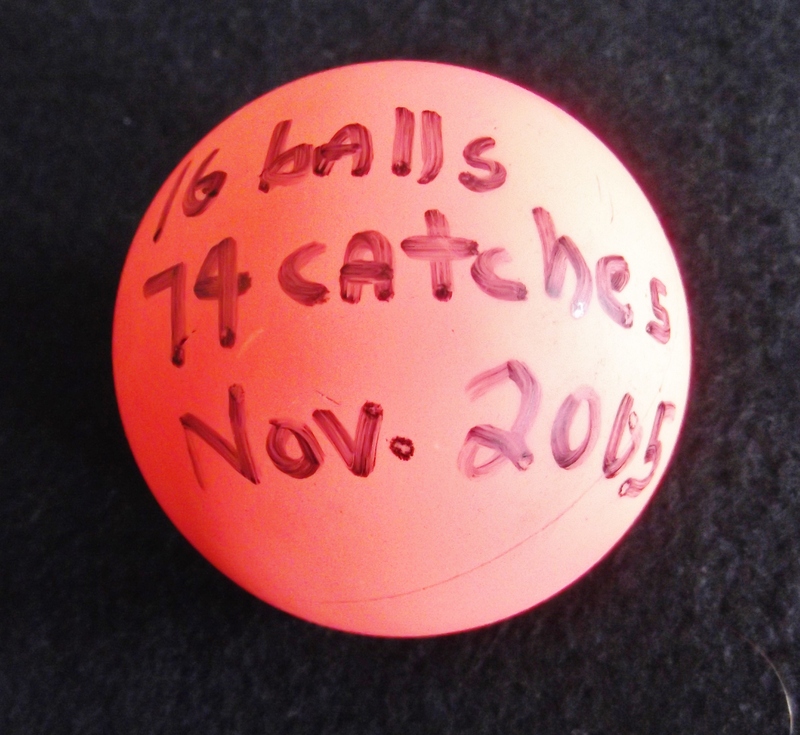 This page is devoted to props used by non-performing jugglers who set world records with the props shown. This is one the sticks used for the first ever nine stick flash. Donated by Bruce Tiemann. This is a silicone ball used by the Bounce Dicks (John Jones and David Critchfield) in setting the world record for 16 ball bounce passing in 2005. Click here for a link to a video of the world record.